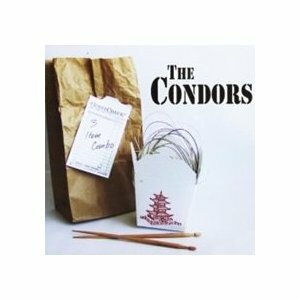 The Condors are one of those great all around bands. Not only are they entertaining live but you can also count on them to deliver an enjoyable record. Frontman, and main songwriter, Pooch DiPuccio has an ear for music and he surrounds himself with seasoned musicians. The group’s latest release is titled 3 Item Combo, which very well could be a cheeky reference to their new status as a trio. The current line-up also features bassist Mario "Miggs" DiLeva and drummer Mark Francis White. Aside from intelligent arrangements, the album also contains a number of infectiously melodic, punchy tunes that blend old school punk with power pop. It’s slightly edgy with a relaxed feel and does a fine job of capturing the essence of band’s live sound.